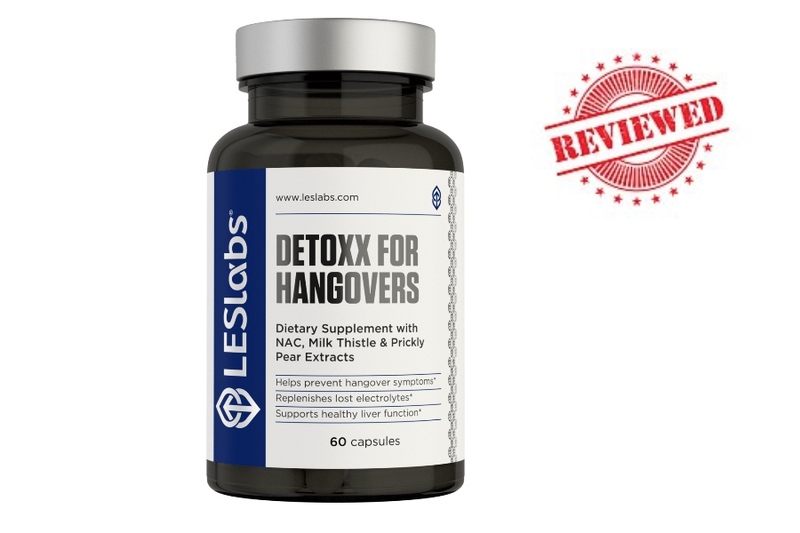 When it comes to hangover supplements, Leslabs Detoxx for hangovers is a veteran in the game. It’s been around for years and was formerly called Pretoxx. As pioneers of the hangover supplement category, they’ve established a great company reputation. With more and more products coming on the market, we thought its about time we test it our for ourselves to check whether it can compete with the newbies. 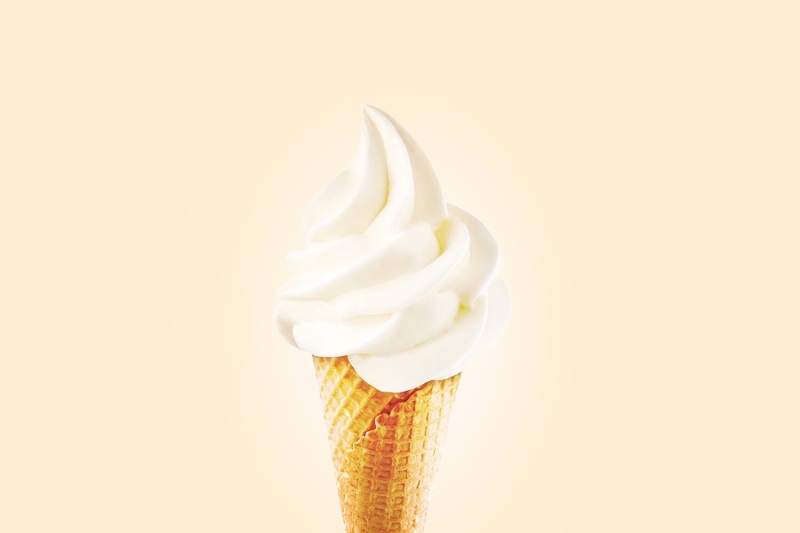 With that in mind, we judge products based on their reputation, safety profile and most importantly ingredient formula. 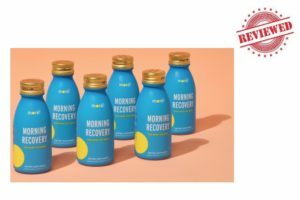 Products like Detoxx use natural ingredients to mitigate the effects of a hangover by providing your liver with the raw materials it needs to enhance its detoxifying role. 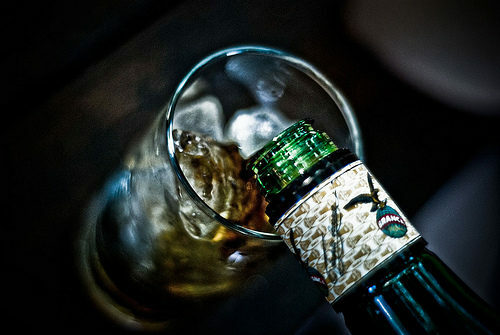 Alcohol is a toxin itself and its metabolism produces even more toxins in the form of free radicals. These are highly reactive by-products which damage the cells they come into contact with. Hence why hangovers can be debilitating with symptoms including headache, nausea, brain fog and lack of energy. 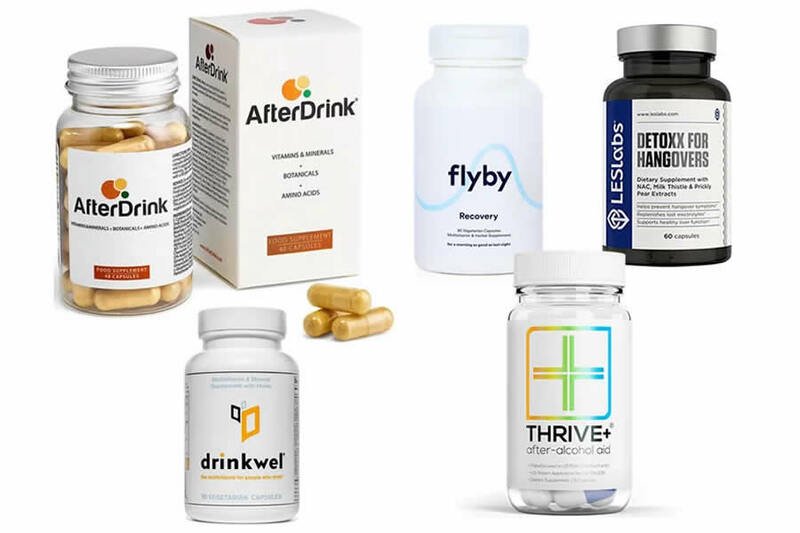 Most hangover supplements on the market today use natural antioxidant ingredients which clear the toxic waste products before they can cause damage. Proprietary blends are a way for manufactuers to hide their ingredient list. Most claim to do this to protect their “secret formula”. But the fact of the matter is they use it as it’s cheaper to manufacture. This is because the “proprietary blend” is made in bulk to cut costs. As a result, you’ll find that each bottle will have varying levels of each ingredient which is far from ideal. 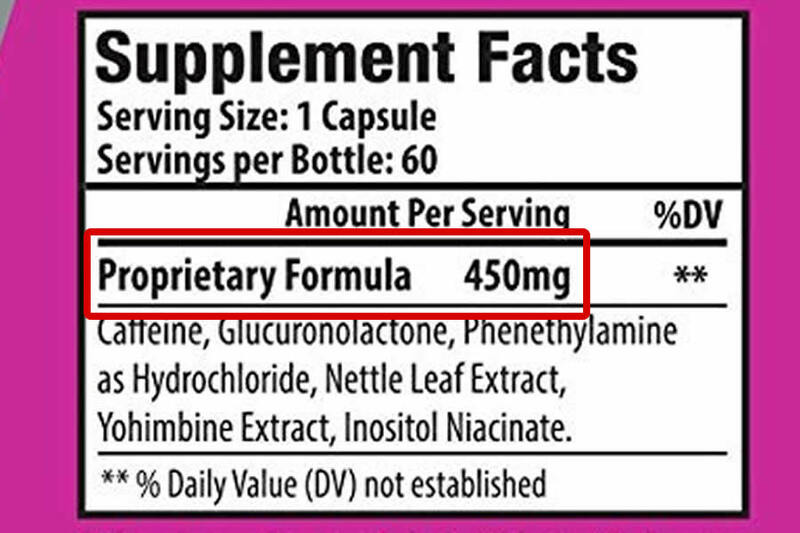 N-acetyl cysteine – This is an amino acid that your liver uses to produce glutathione. 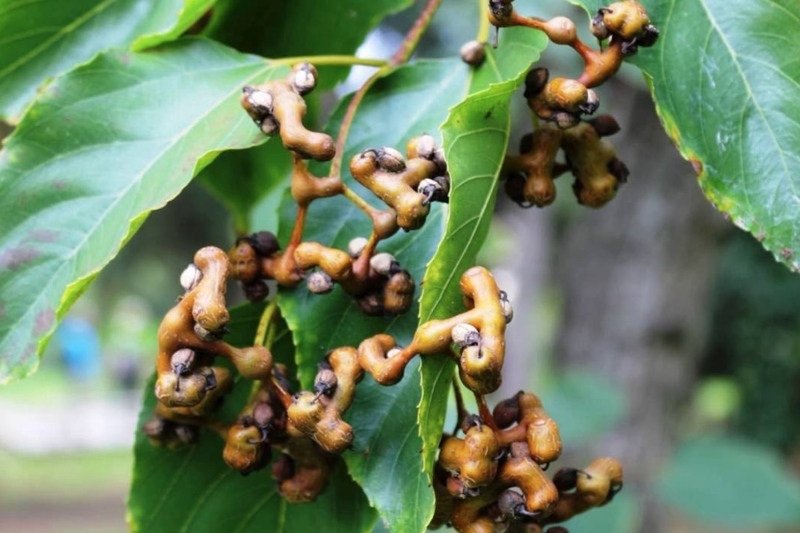 This is known as the bodys “master antioxidant” due to its potency . 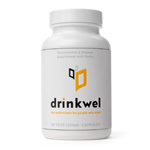 B-Vitamins – Detoxx includes these vitamins at a high dose which is pretty important as they are essential in re-building your liver enzymes. Prickly pear extract – You’ll see most hangover supplements use it. 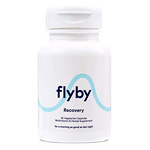 There are some studies that say it can reduce hangover symptoms however it’s not yet conclusive yet. 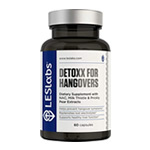 Detoxx ticks a lot of boxes when it comes to selecting the best hangover supplement ingredients. That being said, we were disappointed to see a few absolutely essential ones missed out. Ginger extract – Used worldwide for thousands of years to reduce symptoms of nausea. 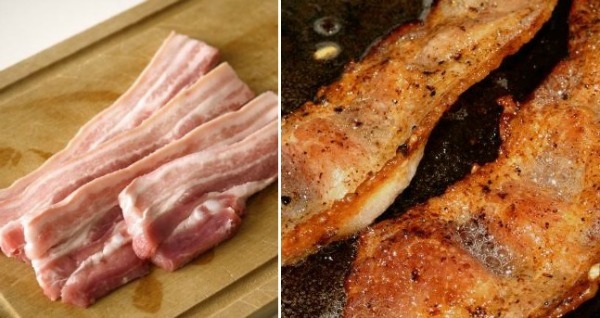 As hangovers are notorious for making people feel sick, we feel that this ingredient is pretty essential. Turmeric extract – A well researched anti-inflammatory which is used to reduce aches and pains. If you’ve experienced a bad hangover, you’ll know that headaches and body aches are up there with worst symptom. L-Theanine – Increases brain alpha waves. These help the mind go into a more relaxed state which can be important if you suffer with hangover anxiety. This ingredient is found naturally in green tea. They have over 2000 reviews on Amazon with mostly positive review. It speaks for itself. They’ve got a loyal customer base. At the time of writing they have 4.3 out of 5 stars which is impressive. 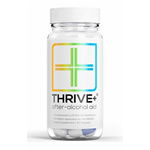 Most customers experience reduced hangover symptoms from taking Detoxx. There are some however who didn’t feel any benefit from it. The ingredients in Detoxx are all natural with no stimulants or medicines. As a result, it’s safe to take. However it’s important to note that everyone is different and some people may have intolerances or allergies to certain ingredients. Always check the ingredients label and ask your doctor if you’re not sure. We don’t currently rate Leslabs Detoxx for hangovers as the best on the market. The reason is, they use a proprietary blend and also miss out several key ingredients including DHM, ginger and theanine. When it comes to hangovers, you really need to cover all areas to make sure you wake up feeling at least a little better in the morning. That being said, Detoxx does have some good ingredients and its actually very reasonably priced at $20. This makes it one of the cheapest hangover supplements. However, you’re getting what you pay for with Detoxx. 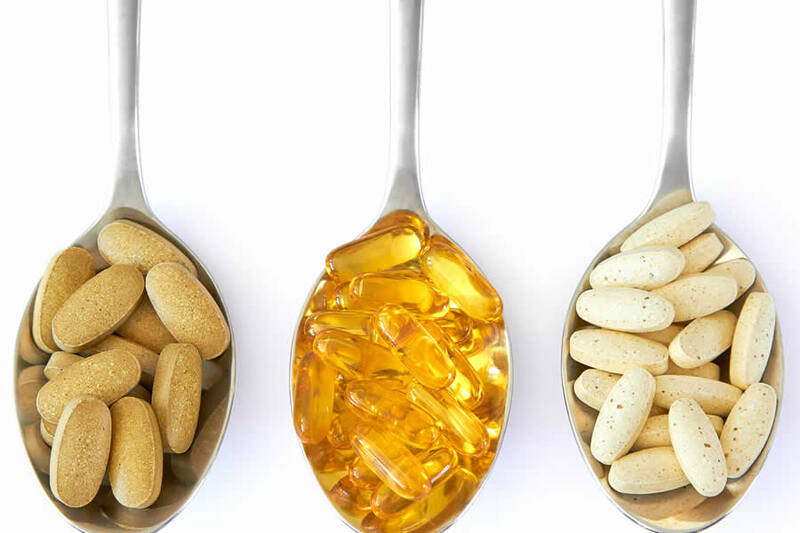 Theres a few things we have to mention about hangover supplements. None of them are miracle cures. They are there to support your recovery and won’t act as magic pills. So its still important to take the necessary precautionary measures by drinking within limits, sticking to lighter coloured drinks and keeping hydrated throughout your night. Also, its always important to have a meal before you go out as this will slow down the rate at which alcohol is absorbed into your system which is key to reducing hangovers. That brings us to the end of our Detoxx for hangovers review. 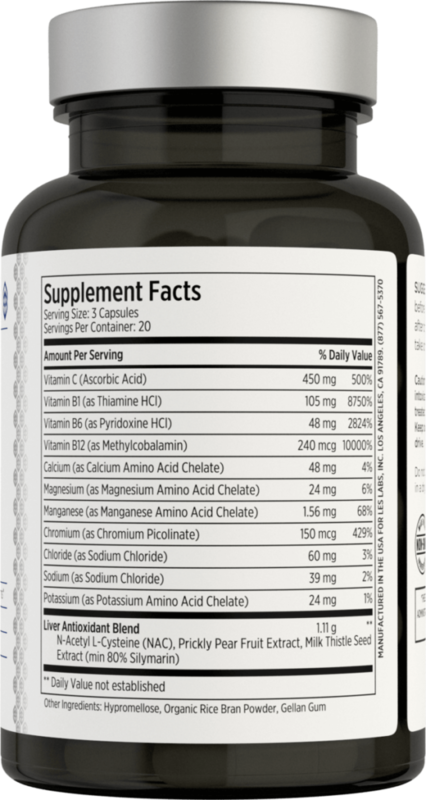 Overall, we think that this is a decent supplement that has some good ingredients at solid doses. It’s just a shame that it’s missing a few of our favourite ingredients and uses a proprietary blend. To summarize, we think that Detoxx is a solid supplement, but we don’t rate it as one of the very best in this category. 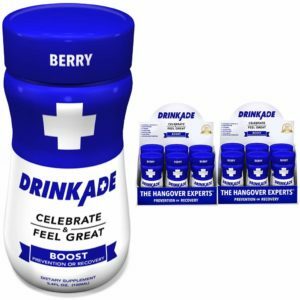 DrinkAde Hangover Drink Review (Formerly “Never Too Hungover”) – Does it help hangovers?